SATS' 2QFY18 earnings were in line with our estimates but beat street estimate, with the bulk of growth coming from JV & associates, underpinned by organic growth as well as recent acquisitions. On a normalised basis, we estimate that operating profit would have risen by 7.5% yoy in 2QFY18. However, we are more excited by SATS’ upcoming JV with Turkish Airways, which will give it exclusive catering rights to Turkish Airlines, at what would be the largest kitchen at the largest airport. SATS deserves a re-rating. Maintain BUY with a higher target price of S$6.00. Underlying earnings matched our core estimate of S$65m for the quarter, above Bloomberg estimates. Excluding the deconsolidation impact, operating profit would have risen by 0.4% yoy, while excluding the cessation of licencing fee rebates, operating profit would have risen by about 7.5% yoy. Staff costs would also have been flat yoy and SATS attributed this to productivity initiatives. Still, strong JVs & associates were key earnings drivers, rising 57% yoy. The partial disposal of a subsidiary and an associate led to S$7.1m in gains. Meanwhile SATS indicated that the disposal of 4% stake in Asia Air Freight terminal (AAT) will be completed by year end for which we estimate pre-tax gain of S$7.0m. 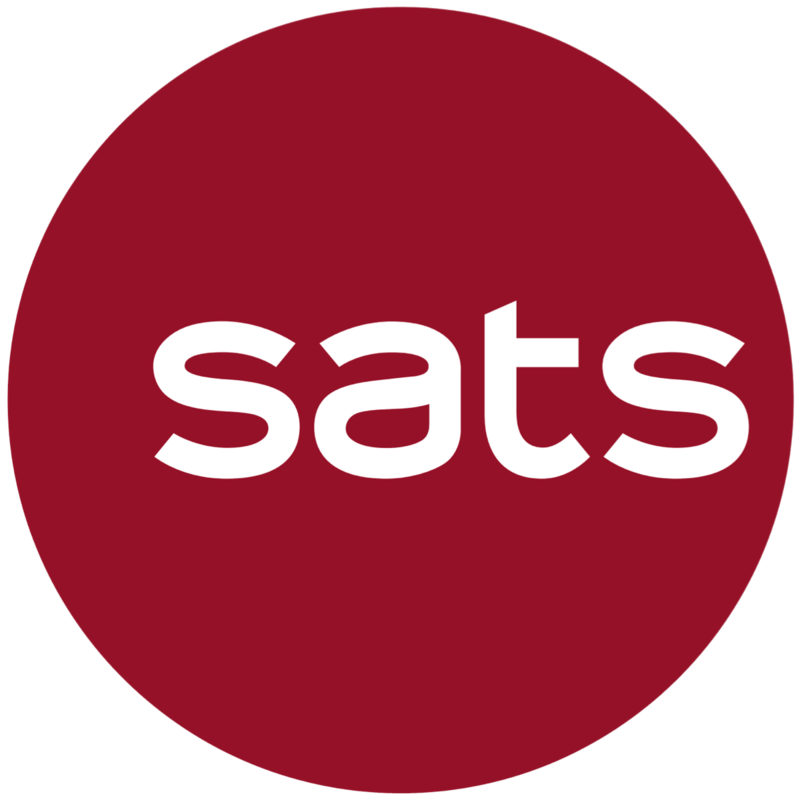 SATS has declared 6 S cents in interim dividend, unchanged from 1HFY17. Gateway services revenue growth underpinned by strong cargo volumes, while food solutions revenue declined due to lower inflight catering revenue and lower volume at TFK. SATS indicated that it is too early to be positive on local inflight operations, even though volumes have been supportive. At TFK, although capacity reductions by Delta Airlines and the loss of Vietnam Airlines impacted revenue, TFK was still profitable for the quarter. JV & associates will continue to be main earnings driver. Gateway services associates profits accounted for 72% of associate earnings, and the segment’s earnings rose 50% yoy, underpinned by strong cargo recovery, especially out of Indonesia and India. Food solutions contribution rose 76%, partly due to the recent acquisition of Evergreen Sky Catering in Taiwan, but Beijing, Maldives and Indonesian associates also recorded growth. Dividend payments from associates rose 35%. Optimistic of ground handling JV with AirAsia’s GTR (Ground Team Red). SATS is not too concerned on ceding 40% of ground handling at T4 to AirAsia, citing that capacity at the terminal was only 16m, vs the 88m or so capacity in Malaysia. SATS also pointed out that the JV will also benefit from pax handling for AirAsia group at T4. In Malaysia, SATS will have an effective 49% stake of the ground handling operations and will commence operations at the four key airports by the end of the quarter. Gateway to Europe and the Middle East via catering JV with Turkish Airways at the new Istanbul airport, which will be the largest airport, when it opens late next year. SATS will be the exclusive caterer to Turkish Airways at the airport. While still at MOU stage, the impact on SATS’ earnings will be substantial, given that Turkish Airways has a 70% share at the current Atartuk Airport, with the most connections to the Middle East and the second most to Asia. The inflight kitchen will be the largest in the world, with equal contribution from Turkish Airways. We believe that SATs will fund the capex via debt and this will reduce forex exposure and boost group ROE. We remain bullish on SATS. We believe that the street has not appreciated SATS’ recent acquisitions and MOUs. SATS’ divestment out of Hong Kong and partnerships with key airlines will provide a long-term growth platform. While we are less certain of the near-term improvement in ROE and group margins from the JV with AirAsia, we believe that the expansion of its geographical footprint across Asia, and now Middle East, will transform the company into a global player. We are also impressed by SATS’ productivity initiatives which are bearing fruit, as staff cost out of Singapore was flat yoy in 2QFY18, despite the reduction in wage credits. We raise our FY18 net profit estimates by 7%, taking into account higher disposal gains in 2HFY18, higher contribution from associates and JVs, and have also incorporated one quarter of contribution from the Air Asia ground handling JV. Maintain BUY, with a higher target price of S$6.00 vs S$5.40 previously. We value the company on an EV/Invested capital basis with WACC of 6.2% (previously 6.1%) and long-term ROIC of 16% (previously 15.3%). growth rate of 3.3% (previously 3.1%). At our fair value, the stock will trade at 24.6x FY18F PE and an ex-cash PE of 23x.